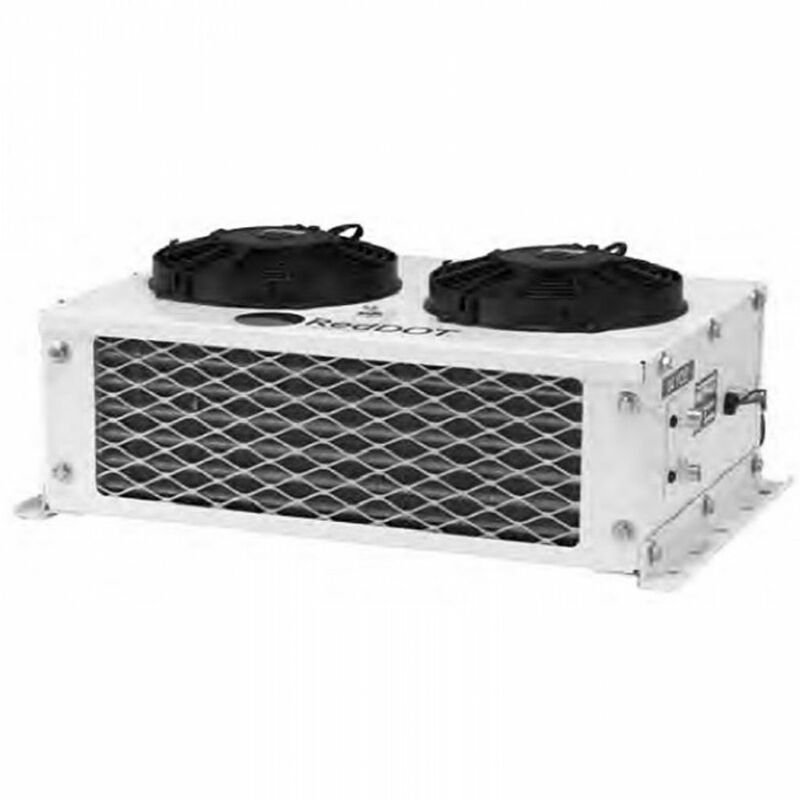 The R-9725’s dual fans provide the capacity to handle any of RedDot’s auxiliary air conditioners. It can be mounted vertically or horizontally. Rock guard optional.